Walk for Life Event at Riverfront Park, Spokane at 11:00am. Meet at the Red Wagon. The St. Gianna Guild focuses its work on the dignity of the human person. The dignity of the person is at the center of every life issue; whether it be the protection of the unborn child in the womb, care for the poorest of the poor in our society or ministering to the elderly in our community. The guild also sees its responsibility as promoting awareness of those most vulnerable in our society today. The guild is named in honor of St. Gianna Molla. St. Gianna was a loving wife, mother and physician. St. Gianna Molla was following one example – the example of Christ in advocating for the defenseless. She is a “Modern Day Saint” canonized on May 16, 2004. St. Gianna was a person who despite the demands of marriage, children and career life, kept the Gospel as the core of her being. She was an Italian doctor who in 1962 heroically sacrificed her own life to save the life of her unborn child. In an age when marriage, family life, virtue and holiness are under attack from all sides; the life and example of St. Gianna is a striking witness of hope, love and beauty. Please join us to lovingly defend the unborn and the dignity of their mother and father. 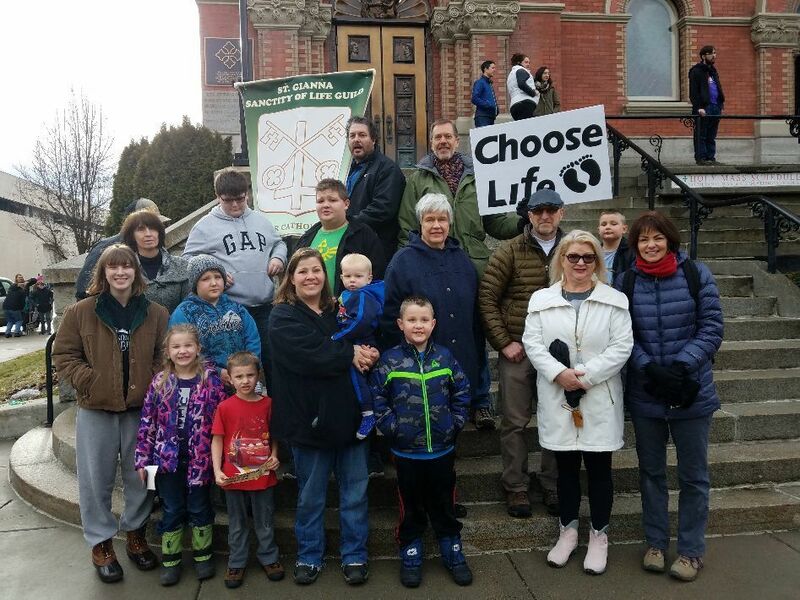 This family centered guild will focus on prayer, education and action and be a living witness to the sanctity of life- from natural conception to natural death. Let us be Catholics, for all seasons by supporting the work of the St. Gianna Guild. St. Gianna Guild meets the last Sunday of the month at 9:15am in the Upper Room. For questions please contact: Elizabeth Fritsch at (509)534-2227. October is Respect Life month. May we renew our commitment to defend life from conception to natural death. We are excited to announce that St. Peter Parish has subscribed to a dynamic new online platform called FORMED. Every parishioner will have access to many meaningful and inspiring Catholic videos, audio programs and eBooks. You will find presenters like Dr. Tim Gray, Dr. Edward Sri, Dr. Mary Healey, Chris Stefanick, Dr. Scott Hahn, Bishop Robert Barron and many more.